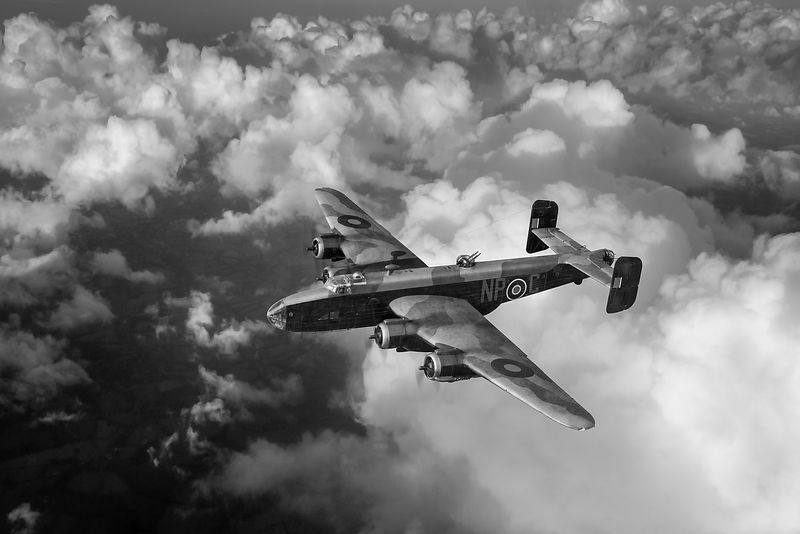 A Handley Page Halifax B Mk III heading out in 1944. The picture shows HX334, based at RAF Lissett in Yorkshire, which carried the NP-C codes of 158 Squadron until it was shot down by a night fighter over Belgium on 13 May 1944 after bombing the railway yards at Hasselt. This was one of three Halifaxes to fall that night to a Messerschmitt 110 of Stab IV./NJG1 piloted by Heinz-Wolfgang Schnaufer – already a multiple 'ace' and eventually the highest scoring night fighter pilot anywhere. The crew of HX334 all took to their parachutes. The gunners, both Australians, became prisoners of war. The other five, four Brits and a Canadian, all evaded capture and were hidden by the Belgian resistance until advancing Allied forces reached them. Site contents © Gary Eason 2008-2019. No reproduction without permission. Details. Please use the Share buttons instead.